Located in Phoenix, Arizona, the Tapatio Resort is home to tall native grasses, breathtaking desert vistas, and blue skies that stretch forever. The golf course is an excellent place to benefit from first class golf instruction, as well as the perfect golf school vacation. Tapatio Cliffs is an extremely fun course to play with outstanding vistas and challenging shot selections … as well as outstanding conditioning from tee to green. Just got back from my 3 days in Phoenix and wanted to let you know how happy I am that I booked the 3-day course with GMS. After years of trying to play the game, way back when, I had sworn to myself that I would never pick up a golf club again. It just seemed to me that there was some magic involved in the stupid game that I was never going to figure out. All the great advice friends were so eager to offer: stand this way, hold the club this way, keep your head down, keep this arm straight, hit down on the ball, point your knee on the back swing, etc. etc. etc. just made it all the more frustrating for me and further convinced me that the game was far too complicated for me to ever figure out, or at least ever want to figure out. After just a few hours on my first day with GMS I realized that there was no great mystery to the game of golf and, in fact, I just might be able to do it. 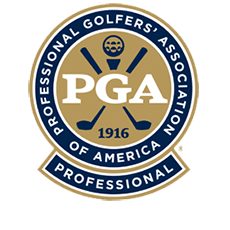 The GMS approach was right on the mark for me – no magic, no bizarre contraptions like the poor guy on the range with some sort of pillow under his arm, just simple understandable principles of what actually happens when you hit a golf ball, illustrated simply and clearly with specific drills. It really works – and it actually makes sense! I have had far too many good intentioned people tell me exactly what to do, with no success, but Scott was able to explain why we were doing it, explain the steps to doing it clearly, and then allow us to see the results of doing it all while providing encouragement and support (and every now and then the much needed admonishment for not doing it). Thank you and be assured I will be returning.